BMW has manufactured many striking and ultra-performance vehicles in the past, where saloons, MPVs, SUVs, Roadsters, Convertibles, and hatchbacks are most prominent in the UK market. BMW diesel-powered cars are widely used and loved by the BMW lovers. These cars are popular due to their performance, fuel economy and hefty torque numbers. Same happened in the case of BMW’s smaller BMW 1 Series hatchback. This particular model has an excellent sales record in the UK and offers better fuel economy than all its siblings, performance is also undeniable from this tiny fellow. Good to know that the BMW 125d is the only traditional BMW with rear wheel drive in this segment of the small vehicles. However, the styling and the body structure makes the vehicle even good looking and gorgeous option. Environment protection agencies are considering the vehicles to be good for the planet earth which is giving excellent fuel economy and lowest carbon emissions. They love to see the vehicles with less than 100g/km of carbon emissions in the UK. BMW 125d is one of the beloved green cars in the UK. It has an official combined fuel economy of 62 miles per gallon and on the motorway, it makes almost 70 miles per gallon. BMW 125d engine cranks 221bhp of power all that power then shifted on the rear wheels. So, on the table, it is one of the best green cars offered in the UK. BMW 125d engines don’t disappoint the riders at all from its four-cylinder 2.0-litre turbo diesel units. These engines are powerful, fuel economical and refined for better performance. Smooth delivery of power and impressive performance makes these engines just awesome. The unique selling point is not its exceptionally good engines, but it is its rear wheel drive system. Which is the only survived rear wheel drive system in the small cars of BMW? For the old BMW 125d models, BMW 125d reconditioned engines are widely and easily available in the UK market. Having the right selection of the models and chassis, BMW has crafted the 125d as a pure urban vehicle and in the county side areas, it would be a waste of resources. The 125d feels sportier than feeling a conventional vehicle on the road. The 125d delivers excellent performance stats all across the range. The 125d delivers a genuinely premium driving experience with a feeling of swiftness and solidity. To be very honest, buyers say that this model is one of the most exceptional models in the UK because the previous BMW 1 Series was just a dumb with an ugly front and an average interior. 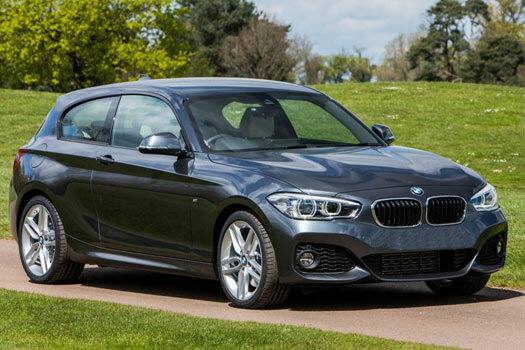 BMW has made the changes to its front and interior to make it an exceptional option in the hatchback class. In the new BMW 125d, you won’t feel sick and would enjoy the driving experience. The previous generation has been signed off for production so there is no need to consider it here. Anyways, a front end of the vehicle has been tweaked with wider headlights and the rear end improved to enhance the car’s aesthetics. Considering the 1 Series interior, the 125d also has an excellent interior and it is again a good sign for the BMW 125d models to rise up on the sales track. An exclusively built dashboard throughout the range, and it’s been an excellent feature of the series now. All the controls are well positioned and well weighted.